Acupuncture is a modality of treatment from a system of medicine originated in ancient China, now called “Traditional Chinese Medicine” (TCM). It is based upon an understanding of the body being composed with a network of physiological pathways called “meridians” or “channels” that connect internally with the viscera, and distribute around the body, intersecting in a manner that resembles a subway map. Physiological substances “qi” and “blood” move through this network which is in the image of rivers and streams. Along these meridians are “hollows” where qi pools. 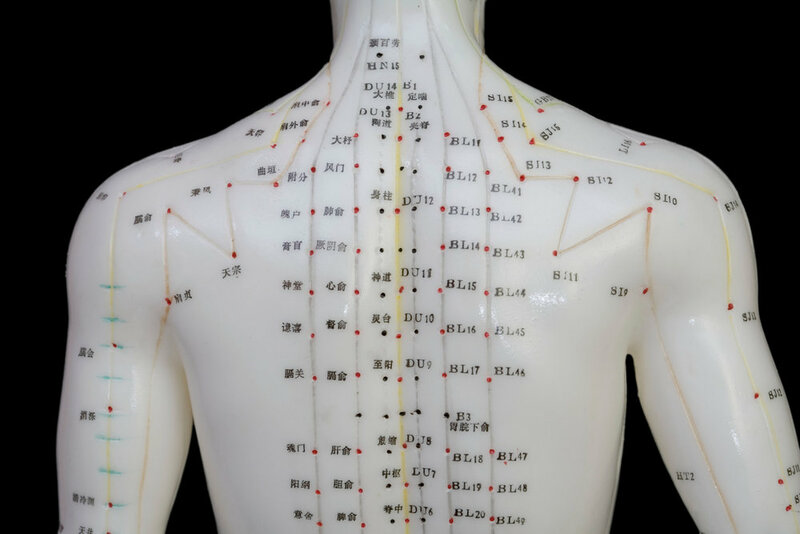 These hollows, also called acupuncture points, can be stimulated to cause effects locally and distally along the meridian, and in the internal viscera. There are several styles and different applications of acupuncture. The most common application at Center Acupuncture is for treating pain and tension. One way of understanding this is like a massage, but instead of only external surface manipulations to affect deeper tissue, a needle is used to directly stimulate and resolve the affected areas. In this way acupuncture can release knots, reduce inflammation, increase circulation, and stop pain. Another common application of acupuncture is for stress management because of its internal effects. This type of treatment usually utilizes several points all over the body, regulates hormonal and neural activity, and it’s emotionally therapeutic and deeply relaxing. In recent years, this time-honored healing art has gained wide acceptance as a powerful complement to conventional modern medicine. The National Institute of Health, the World Health Organization, and other national and international health and medical bodies have come to integrate and promote acupuncture as a safe, effective, and low-cost method of treatment for a wide variety of disorders.